TRT Ltd. is a joint venture between two significant Gas Turbine Industry organisations: ROLLS-ROYCE PLC & CHROMALLOY UK LTD.
TRT repairs Rolls-Royce and Rolls-Royce Marine and Industrial derivative RB211, Tay, BR700 series and Trent engine Turbine Blades and Nozzle Guide Vanes. Our Joint Venture between an OEM and an Independent Technology company allows TRT to deliver innovative Inspection, Repair and Overhaul solutions to the specific requirements of our global customer base; MRO Facilities, Operators, OEM, and Parts Traders. TRT actively seeks out new technologies to ensure that the repairability of Turbine material keeps pace with the step changes in technology delivered by OEMs. Working together in partnership, Rolls-Royce and Chromalloy have delivered thermal protection and performance technologies for the latest generation of gas turbine engine components which, after delivering in service, need to be restored to the exacting standards of new. TRT work with a number of organisations including Universities, Government funded institutions, Industrial partners, and functional experts to ensure that TRTs investment is best placed to deliver high value, high quality solutions to the complex and varied demands of our customers. 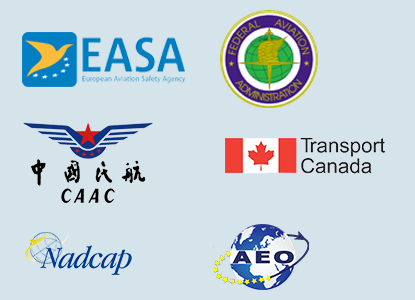 To support its global customer base TRT is accredited internationally by the controlling bodies of EASA, FAA and CAAC. TRT also have a comprehensive set of approvals from customers and other industry bodies. Notably Rolls-Royce, Siemens IGT, NADCAP, BSi, AEO. TRT operates an integrated Quality, Operations, Customer Business, Engineering, and Business Improvement system to ensure that we are able to process parts and align our business to the demands of our customers. This has led to a reputation for excellence in performance and responsiveness. Our Customers are central to everything we do. We put considerable effort into creating and maintaining close relationships with our customers. TRT understand the importance of up to date and accurate information about your parts at TRT. As a customer of TRT you will be given access to a tailored and secure on-line portal which will enable you to track your components through the repair process. TRT’s programmes of continuous improvement, process excellence and customer relationship at all working levels have created a truly customer-focused culture.